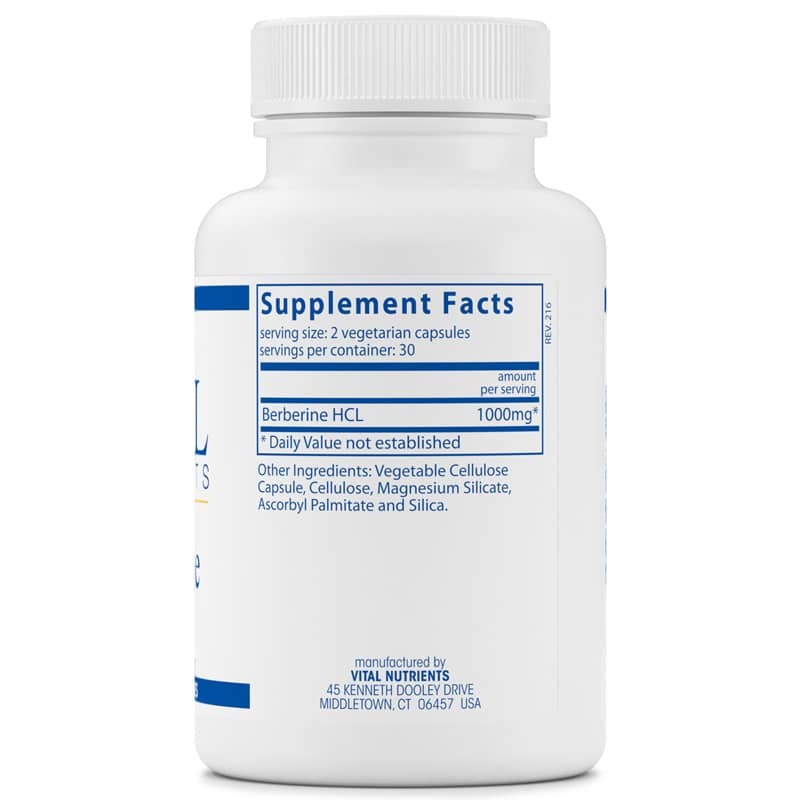 The possibilities of this dietary supplement to help you stay healthy cover a wide range. Berberine has been used to support regular bowel function, and it may target or inhibit bacterial infections as well as fungi like Candida. This potent alkaloid can promote a healthy heart. It may actually help your heart beat stronger. Plus, Berberine may even help you maintain healthy cholesterol and blood sugar levels. 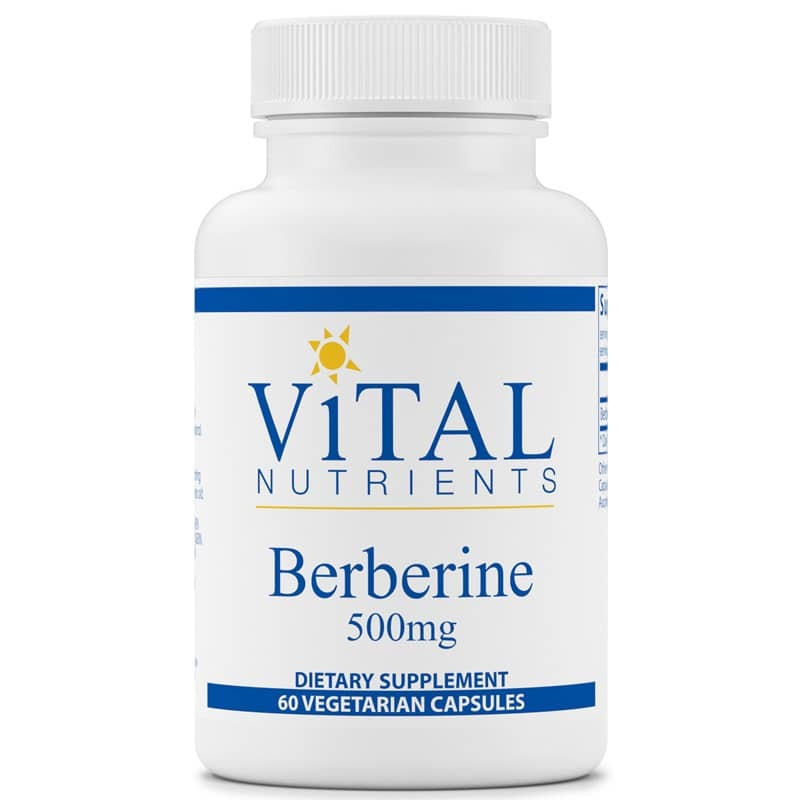 Discover the benefits for yourself when you try Berberine 500mg from Vital Nutrients. Other Ingredients: vegetable cellulose capsule, cellulose, magnesium silicate, ascorbyl palmitate, and silica. 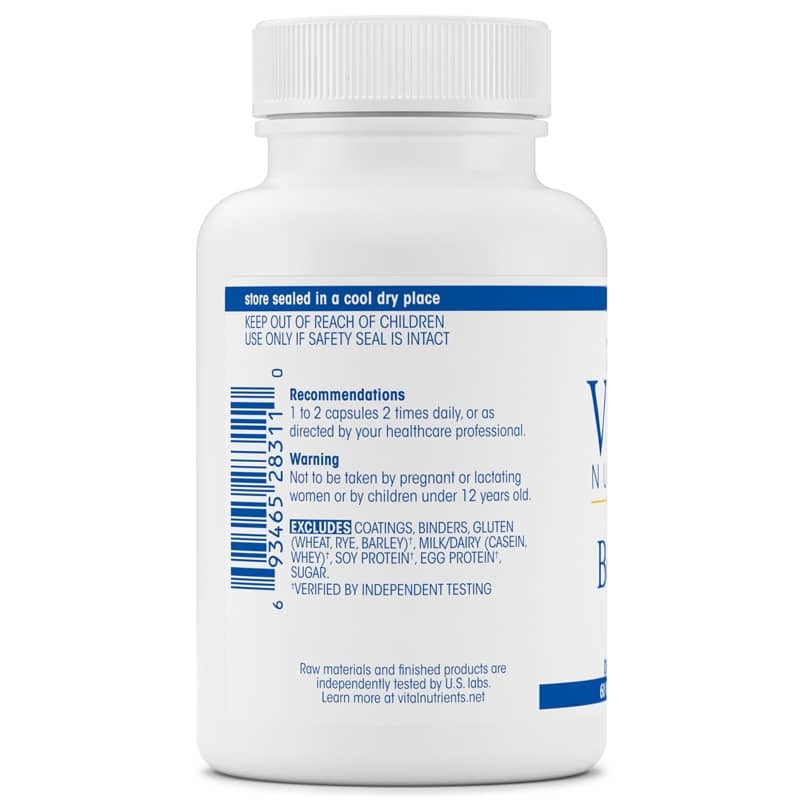 Adults: 1 to 2 capsules 2 times daily, or as directed by a healthcare professional.